What started off as an exclusive line of college sports caps that proudly display artwork from noted Latino artists during Hispanic Heritage Month, now aims to reach more colleges across the country to bring students together and celebrate their diversity. Learfield, which manages licensing rights for 620 colleges and universities in North America, teamed up with sports cap giant New Era, and four Latino artists and six universities in Texas, New Mexico and California to launch the Hispanic Heritage collection. The artwork on the caps combines street art and graffiti, which bends and squeezes large stylized hand-drawn letters with photo-realistic portraits of Latino icons like the Mexican Day of the Dead Calavera Catrina—a woman with elegant skull face makeup—among other pop culture styles. While identity and identity politics have recently been criticized for dividing people in sports, data and marketing trends suggest that diversity will become the cornerstone for promoting different brands in the future. Brochstein told NBC News that entertainment and corporate brands made $262.4 billion in global licensing sales last year. And with brands having more access to big data, they are mapping out the diversity of their fan bases to reach them specifically. “The U.S. is becoming a polyglot society with lots of different sectors of the population growing in numbers and purchasing power. And while these groups become assimilated, they also maintain their identities,” Brochstein said. This is the story of one of the Latino artists who worked on the Hispanic Heritage cap collection. Growing up in the south side of San Antonio, Texas, “Shek” Vega has juggled multiple identities as a Latino, Chicano, Texan and American. But when Learfield reached out to him and his artistic partner Nik “Soupe” to work on the caps, he jumped at it, knowing that he could tell a story about overcoming boundaries that divide everyday people into outsiders and insiders, us and los otros (the others). “Back in the 1990s, the south side and working class neighborhoods of San Antonio weren’t easy places to grow up in. And graffiti and street art seemed like a way to leave your name,” Vega told NBC News. Vega’s art career started on the streets of San Antonio over 15 years ago with street art and graffiti. And as he got older, he grew into the art community painting murals with “Soupe”—the creative duo is known as Los Otros (The Others). Now, Vega runs his own gallery—Gravelmouth—which showcases the artwork of other artists with similar backgrounds. For Vega, the caps represent opportunities that he hopes other street artists, and Latinos from all walks of life, can seize upon. 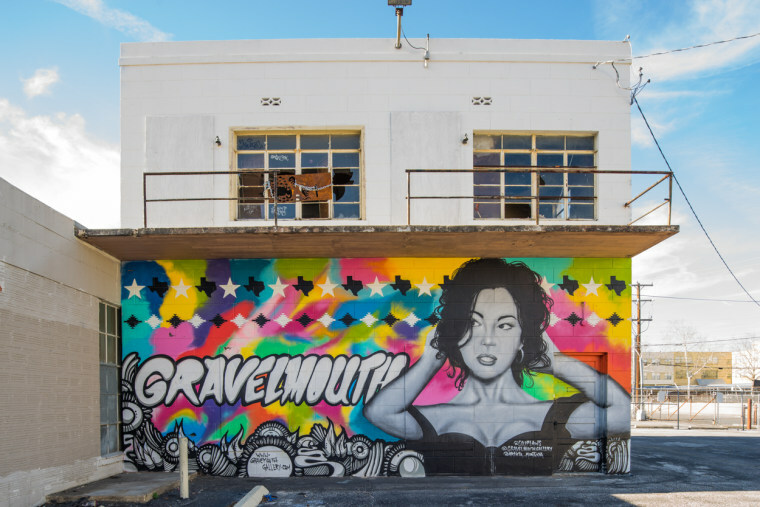 And hidden in the artwork, like the streets of San Antonio, is a powerful story reminding people that art, sports and identity are part of a larger process—a life journey—that makes you self-aware. The exclusive Hispanic Heritage collection is available online at Fanatics, LIDS, Follett and other on-campus bookstores, as well as local retailers.